You’ve noticed that many students in your class smoke. Is quitting smoking something you should talk about? Is it any of your business? Many of your students have children. Do they smoke around their children? Is it part of your role as an instructor to discuss the negative health effects of smoking? I am curious to know if any of you have had similar thoughts. As a public health nurse who specializes in health promotion, I am aware that the hesitancy to talk about quitting smoking can prevent people from getting the support they need to make this important change. The fact is, quitting smoking is one of the best things people can do to improve their health. The statistics are clear. Tobacco kills half of its long term users. That equates to 36 Ontarians a day or 13,000 Ontarians per year. Most people who smoke want to quit, yet many do not know where to start. Silence on this issue can keep people trapped in a cycle of addiction that has negative health effects for themselves, as well as their families and friends. Here are some ideas to help you begin the conversation about tobacco use in your classroom. Smokers’ Helpline can be a wonderful place to start. This provincial service has everything including confidential counselling by phone, text, and/or email 7 days a week in more than 100 languages to support a quit attempt. The good news about Smokers’ Helpline is that when a referral is made, 90 percent of clients take action towards quitting. In addition, 28 percent of people who call Smokers’ Helpline quit successfully. Counselling, combined with medication, can triple one’s chances of staying smoke-free for good. January is a great month to talk about this topic. Yearly awareness raising events like National Non-Smoking Week (January 20th – 26th) and Weedless Wednesday (January 23rd) are a great time to talk about tobacco use and celebrate people’s successful quitting attempts. These events can provide the instructor or student with an opportunity to initiate the conversation about tobacco use by simply asking questions and being curious. 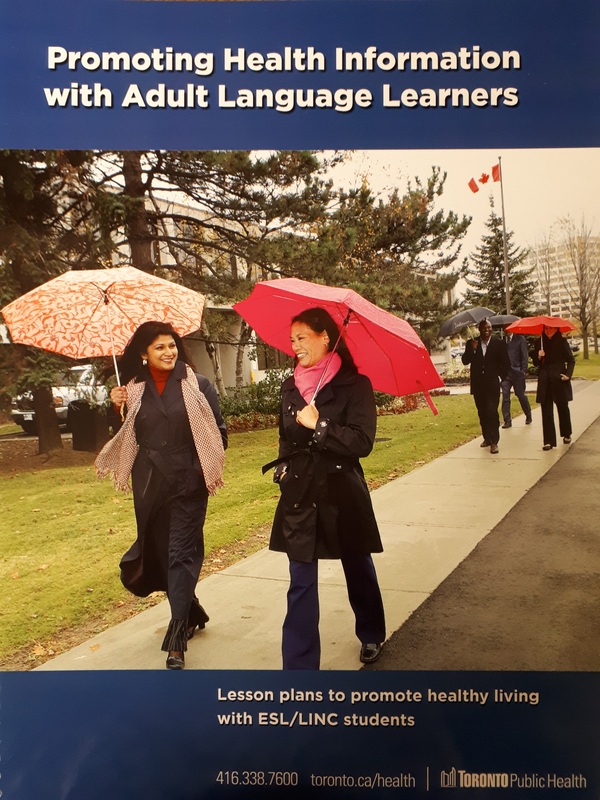 Another great resource is Toronto Public Health’s ESL/LINC Health curriculum, which has an entire chapter devoted to addressing tobacco use. In or out of class, the conversation could start simply by asking “would you like some information or support to help you quit?” The truth is we may never know who we will help or when a person will take action, but someone could as a result. I encourage you to use the activities in the curriculum and to connect with your local public health unit for support. For those of you who work in Toronto, Public Health Nurses can work with you to develop ways to make the classroom a supportive space to talk about health. There are local resources available to instructors and students alike. Together we can do so much to help people live better and take action to improve their own life and the lives of those around them.